Edgar Allan Poe, honored as the father of the detective story, pioneered plot devices and characters that have become staples of crime fiction. Poe's brilliant consulting detective and his admiring sidekick prefigure Sherlock Holmes and Doctor Watson, Hercule Poirot and Captain Hastings, and many other detecting duos. 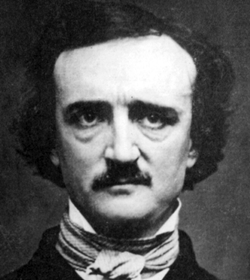 Poe also explored the mind of the murderer in memorable stories, including "The Tell-Tale Heart" and "The Cask of Amontillado." Poe's macabre tales, like "The Fall of the House of Usher," influenced writers of horror fiction. 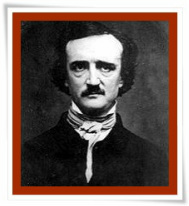 In addition to fiction, Poe wrote essays and poems. Test your knowledge of Poe by trying the trivia quiz here. What detective story features did Poe pioneer? 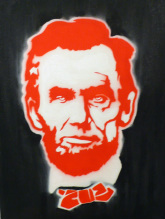 What do Poe and Abraham Lincoln have in common?